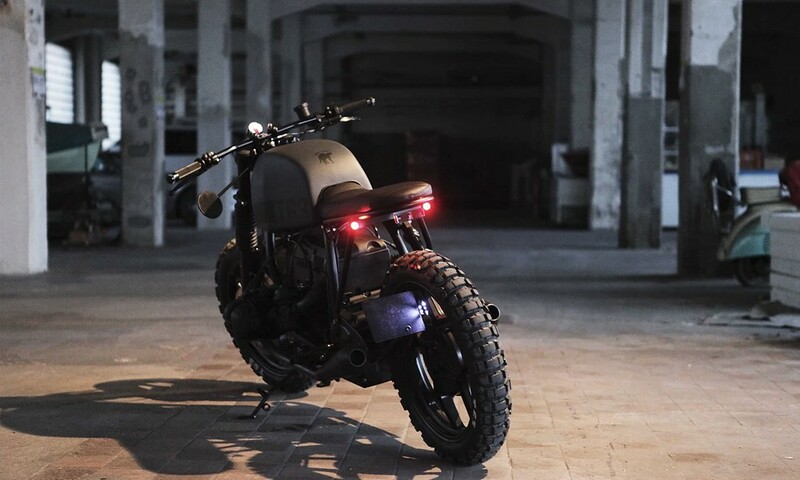 A stock 1989 BMW R80 RT is a touring bike with a giant front end that’s been used in quite a few places as a police cruiser. 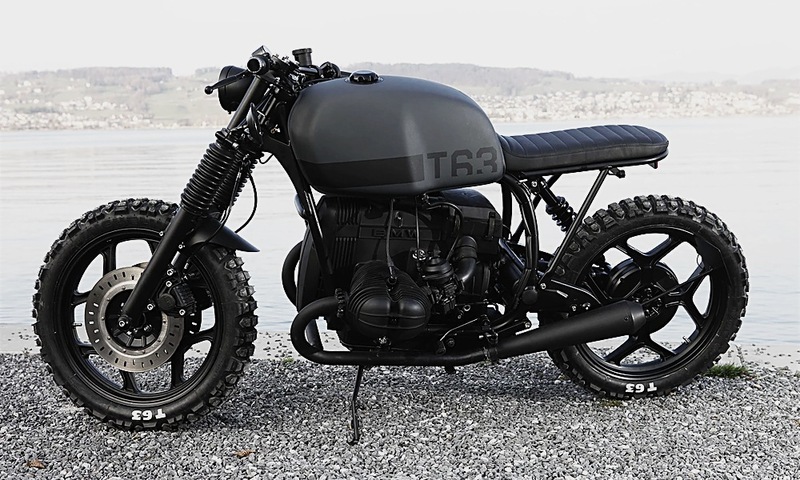 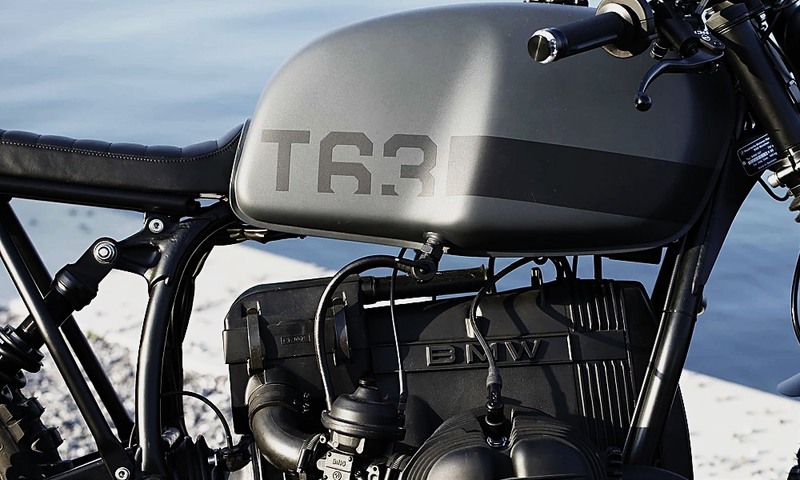 Angry Motors out of Switzerland managed to take that boxy and robust base bike and turn it into a minimalist work of art with their T63. 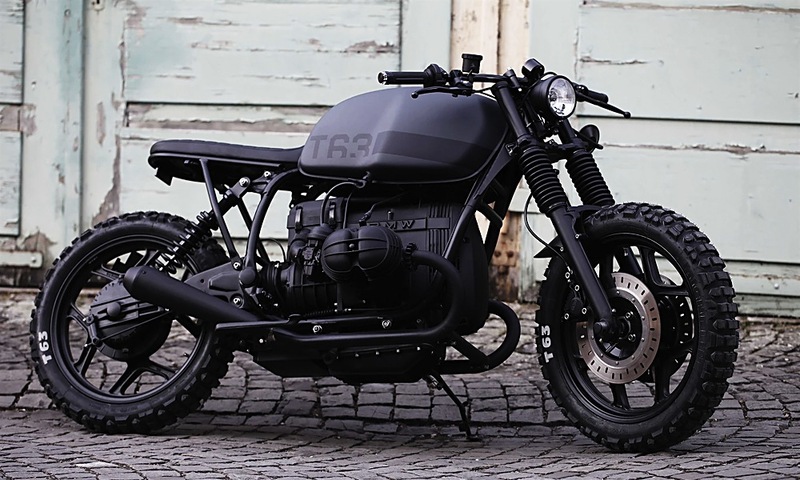 Over the course of almost fifteen straight days (350 hours total spread across a year) of “passion, work, beer, sweat and music,” the 1989 BMW R80 RT was stripped to the bone, powder-coated, painted and rebuilt from the ground up using only the absolute essentials or bespoke parts (custom rear end, leather seat, handgrips, etc.). 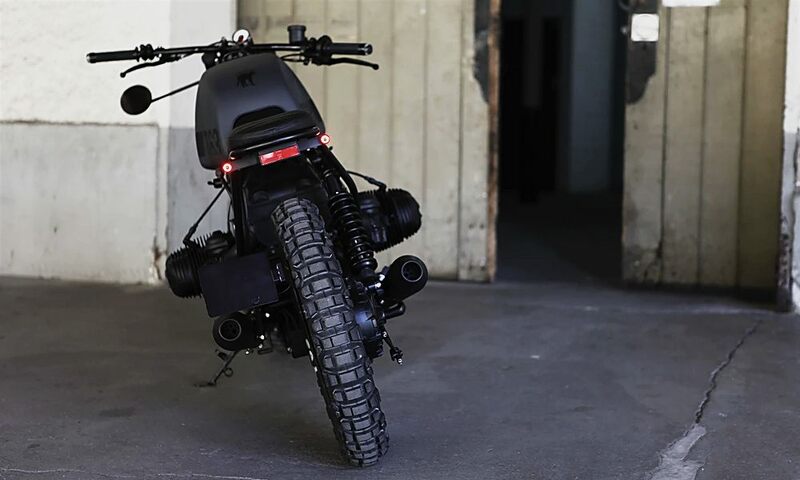 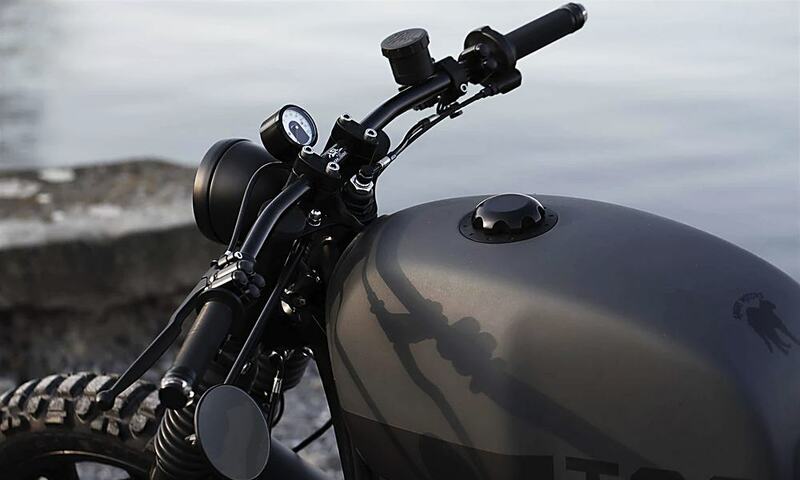 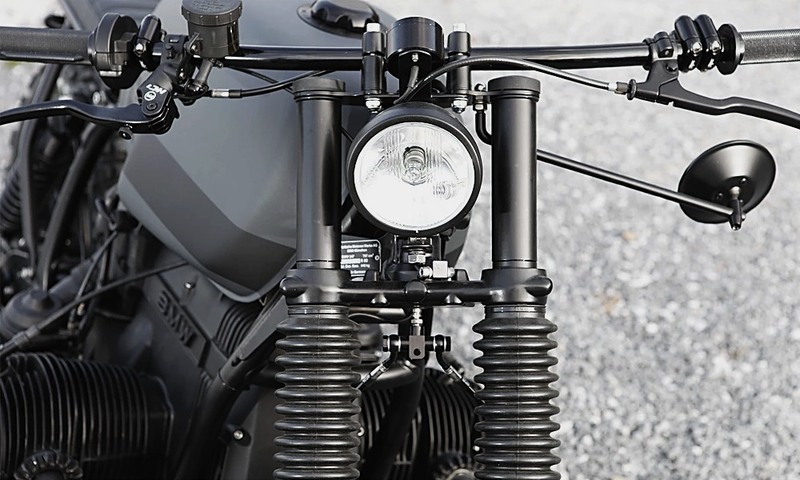 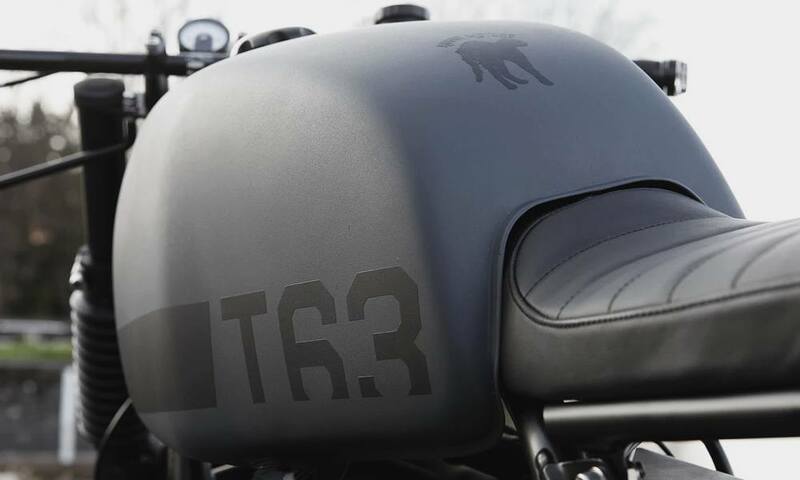 The finished T63 bike, so named for the beefy Michelin T63 tires, is a murdered out beast that’s almost military in its build precision and spartan detailing.